You need to find the path that works for you, but people who write saelf-help books mostly talk about what works for them. Er, I'll wait for government testing on this one! “The cells of the old mice were indistinguishable from the young mice, after just one week of treatment”. Human trials of NMN therapy will begin within 6 months. “This is the closest we are to a safe and effective anti-aging drug that’s perhaps only 3 to 5 years away from being on the market if the trials go well"
I was looking for something on Berton Boats and came across this interactive map at http://www.ybw.com/weather?ybwsb. I was looking for something on Berton Boats and came across this interactive map at http://www.ybw.com/weather?ybwsb. The screenshot shows the coast of Queensland being hammered by the current Cyclone. More i not always better. More i not always better. New, is not always better. And mistaking technological addiction - brought about by features that are designed to make the use of technology appealing - with happiness, only gets you so far. At only 15 years old, Dmitris Hatzis of Kavala, Greece, has become the youngest person to build a 3D-printed, life-size humanoid robot. The achievement took a year and was part of InMoov. InMoov makes available specific designs and sets of instructions for the creation of humanoid robots, and encourages people to 3D print and assemble them themselves. I suspect that this basic imperative of bodily survival in an uncertain world is the basis of the flexibility and power of human intelligence. But few AI researchers have really embraced the implications of these insights. I'm inclined to agree. But also it makes good sense to me, to have an AI that identifies with a body or structure because its source of inputs and survival come from that. Robert Heinlein commented (in one of the Lazarus Long stories I think) that a disembodied/disinterested AI flying a plane was a bad idea, because it didn't have a stake in its survival. So embodiment then, gives the AI a stake in existence. Rather than being some program that runs a plane, it IS the plane. This is mirrored in some TV SF shows like Caprica as well, were the crucial thing is the bonding of an ego (made from a collection of memories) onto a Cylon. I was taught NOT to snub dodecahedrons. In this animation I developed some time ago, a snub dodecahedron is constituted from a network graph of triangle and pentagonal shards folding up. The two types of shards then pop out and rotate. RT is not entirely a reliable source, as it tends editorialize everything and add a Russian State spin (i.e. RT is not entirely a reliable source, as it tends editorialize everything and add a Russian State spin (i.e. propaganda) . I would have thought that scientific theory could only be disproved or confirmed, - based on what that theory predicts and the fact based evidence shows - rather than debated. Was this a prototype without a market? These work on both Mac and PC. They also have a Premium version for $99, at https://macappware.com/software/mac-fonts/ for 2,018 fonts - but SmithMicro regularly advertise thjis for a LOT LESS (usually only $29.99). It would take me some time to get through the 679 fonts, to see if the premium one was worth. Also see the comments to this post. Check the usage guidelines first. Was trying to track down a "copyrighted" space ship and realized it was just a free NASA model. You cannot copyright someone else's work, folks. Here is is the original source of many Opensim models. There were 2 or 3 I hadn't known. Organised into 15 categories, the catalogue includes software for data processing/storage, business systems, operations, propulsion, and aeronautics. Each of these contain dozens of software downloads. If you find it difficult to browse through all of them, you may want to begin with NASA's list of the top 20 requested software titles that are included in the catalogue. 'NASA has just released its 2017-2018 software catalogue, and everything is available for free download, without any royalty or copyright fees. This is the third time NASA has released such a compilation as part of its Technology Transfer Program. Though this might say more about the price of iPhones than anything else. But - what SORT of activity? Seems like a handy satellite. 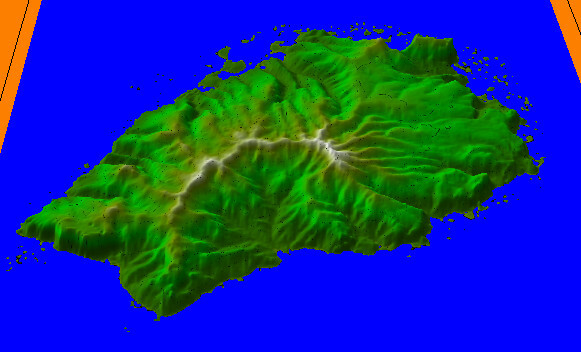 And here's Part 5, which is really the final example of importing terrain from real life into Leveller. 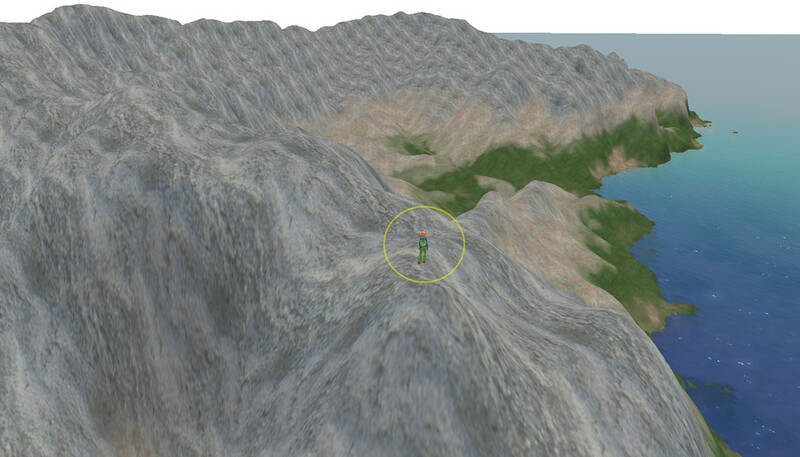 And here's Part 5, which is really the final example of importing terrain from real life into Leveller. I I finally sorted out Tenerife (which I used in this example)!! I updated this tutorial about importing real terrain into Leveller. I updated this tutorial about importing real terrain into Leveller. Still needs one section to be done, but instead I did Part 5! 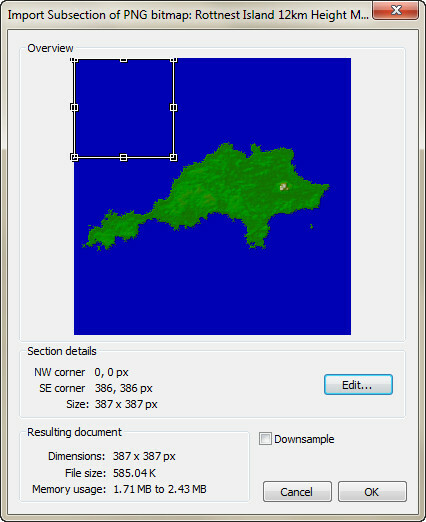 This tutorial looks at merging two terrains using Leveller (a powerful 3D terrain editor for windows from Daylon Graphics) for later use in OpenSimulator (Opensim). This tutorial assumes that you've read Part 4. If you haven't, please do that before reading on. 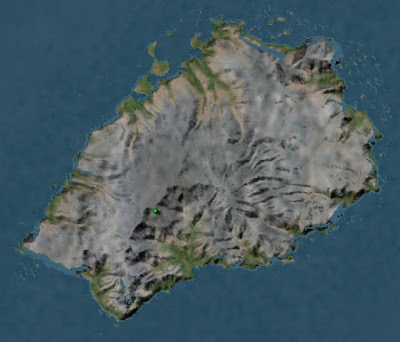 You can search by name for a location, zoom in or out, and scroll around the map of the Earth by dragging the mouse. 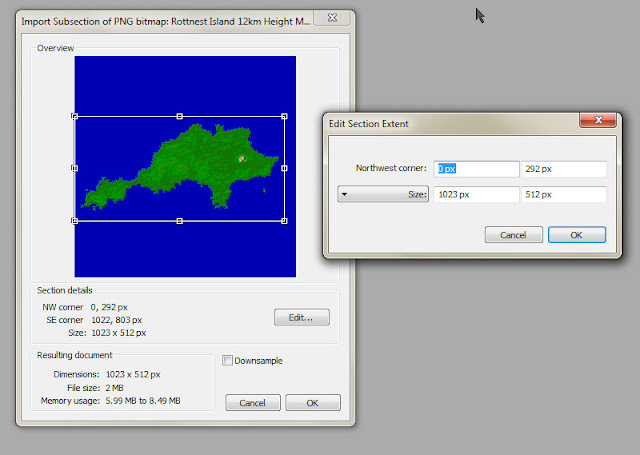 You can also decide which which overlay to use, though the two USGS options only work in the USA and territories. You can also decide how large the selection area is and place that where you want, though it doesn't move unless either you manually move it, or your text search moves the map to a location. 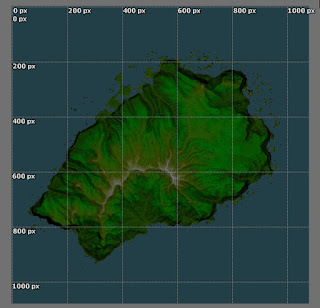 The main difference between this and the previous two examples in Part 4, is that the island is too large to fit into the largest selection size of terrain.party which is 60km. Now one solution to this issue would to find a different source of map data for the island. 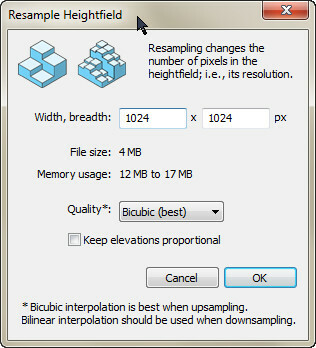 For this example however, we'll do a work around, of patching together the heightfields from two overlapping PNGs. 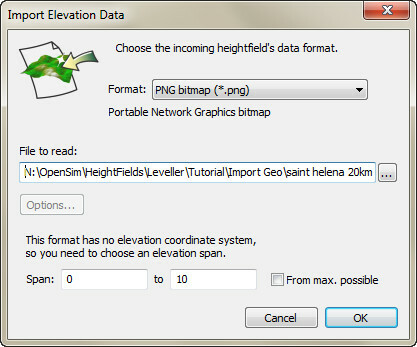 The maximum heightfields vary because one of the maps has height terrain than the other. The scale for each is 1081 / 60000 or 0.0180166666666667 or 2%! 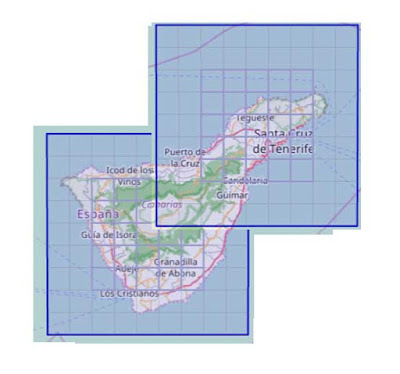 We can scale the maximum heightfields down proportionally to 73.92 for Tenerife 60km SW, and 72.32 for Tenerife 60km NE. 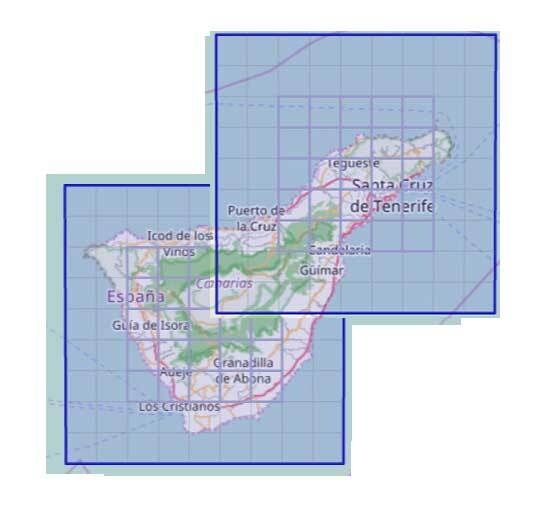 Each of these documents is 1081×1081 in size, and their heightfields should be correctly scaled so that when we paste them together, there should be a smooth join. The guidelines on each have been changed to show only 1m and 256m, and the difference in what shows depends on what zoom you have. 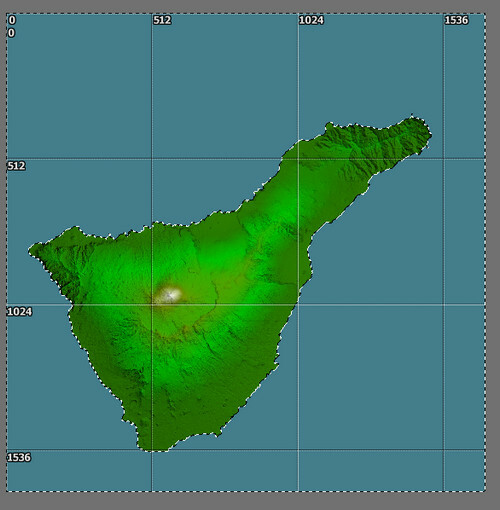 Before we do anything else, we'll save these documents with their default names as Import of Tenerife 60km SW Height Map (Merged).ter and Import of Tenerife 60km NE Height Map (Merged).ter! There are two ways to merge these two documents together. 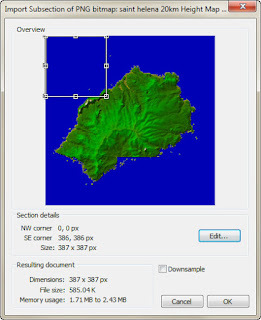 The first is to enlarge one of the documents by using Edit > Pad and then copy and paste the terrain of the other document into it. You could also create a new document using File > New and make sure it has enough width and breadth, and then copy and paste both documents into it. In either case, In the first case I'd recommend saving a copy of the padded document with a new name via File > Save As, so that if anything goes wrong, you still have an original version of that document if anything goes wrong. The selection's been pasted to the padded document, and the Select tool is now active. This is currently a Floating Selection, so you can move it about first, and when happy with the position, Defoat it to be part of the terrain below. Until you defloat this, you can still press Delete and erase the selection if you want to (maybe you realised you've copied the wrong selection). 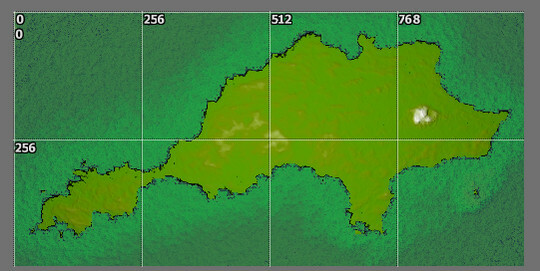 Using the scroll wheel on your mouse will zoom in and out on the map, which is handy for matching up terrain. Instead of using the mouse to move the floating section, you can just use the arrow keys to move it one pixel at a time (though you need to time this correctly or you'll overshoot). 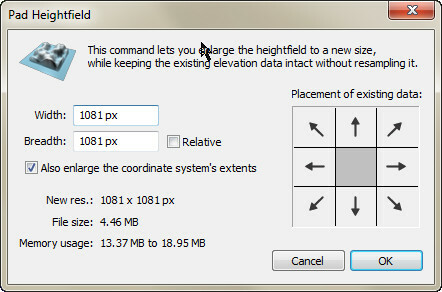 It may just mean you need to move the floating selection a few pixels horizontally or vertically. If the next attempt doesn't work you can regress and try again. 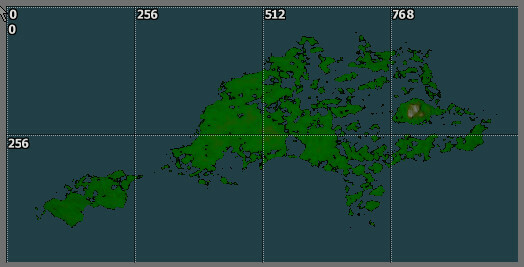 It could be that our scaling is slightly out as well, and you could try importing the PNG again with a slightly lower maximum height. 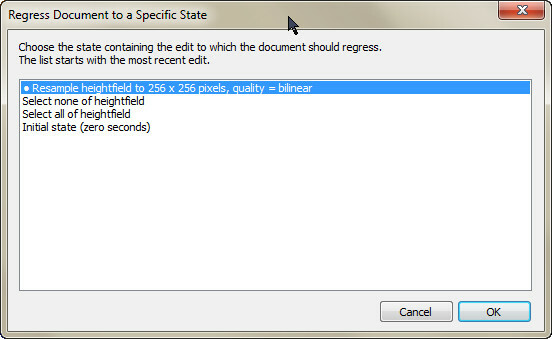 You can also choose other options than Replace when defloating the selection. 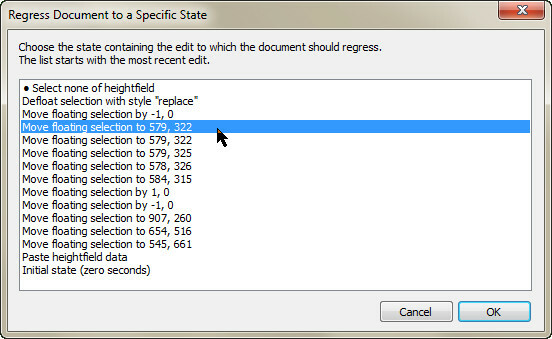 Use Edit > Regress To as shown above, but when you Defloat the selection you might try Average instead. This will be fine when defloating over similar parts of the map, but defloating over zero or blank areas, not so much. Another option is to play around with the selection before you copy it. Try doing Selection > Shrink four times and then Selection > Feather with 4px. Or you can Selection > Blur it as well. Then when pasting a slightly smoother edge might result. Alternatively you could Regress as above, swap to the other map and use Filter > Elevate with Lower and 1, and then copy the altered selection. 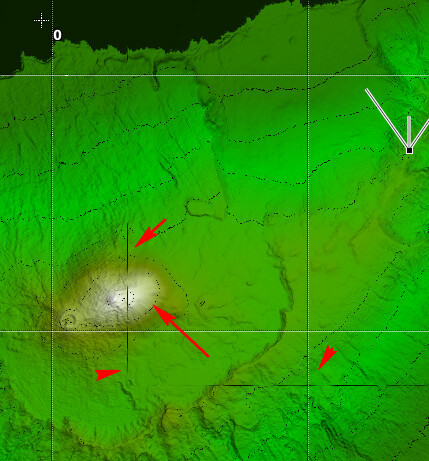 If the paste is 1px out in elevation, this might be an easier way to change that. Or it might not. In the end you might just need to use the Blur tool and Smudge tool to soften the edges manually. 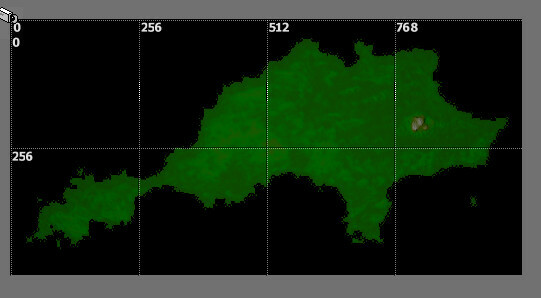 Of course that's going to reduce accuracy in relation to the real world terrain, but if you can't see the creases it's all good. Here's the result of some blurring and smudging. There's a hint of line, so some more work needs to be done. 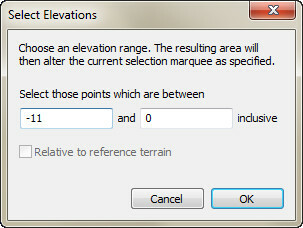 You could also do a Selection > Select Elevations and use .1 and 400 as values. 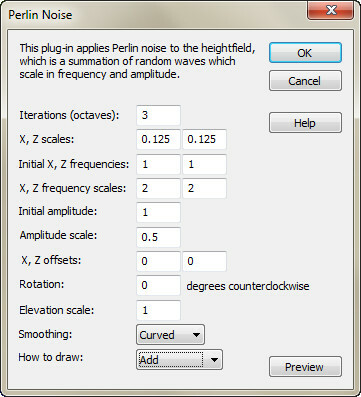 That will select everything over zero. Then press Ctrl + I to invert the selection and we get the same result. Either way, if we press Delete then all the selected area becomes -18. Looking better, and a lot better than my result in Part 3! Such a prediction was made two months ago by Erik Verlinde in his new paper. Such a prediction was made two months ago by Erik Verlinde in his new paper. Verlinde pointed out that emergent gravity in a universe with a positive cosmological constant – like the one we live in – would only approximately reproduce General Relativity. The microscopic constituents of space-time, Verlinde claims, also react to the presence of matter in a way that General Relativity does not capture: they push inwards on matter. This creates an effect similar to that ascribed to particle dark matter, which pulls normal matter in by its gravitational attraction. Oops, here we go again! I have a first draft on a tutorial about importing real life geography into Leveller, and later into OpenSimulator. 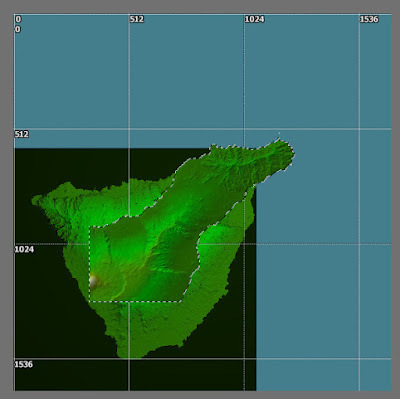 I have a first draft on a tutorial about importing real life geography into Leveller, and later into OpenSimulator. I have two more examples to add, but they might not get done until Thursday. This tutorial looks at importing real geography into Leveller (a powerful 3D terrain editor for windows from Daylon Graphics) for later use in OpenSimulator (Opensim). Unlike the previous tutorials, which focus on specific tools or processes, this is more about making decisions on how to import and how to modify the results of that. 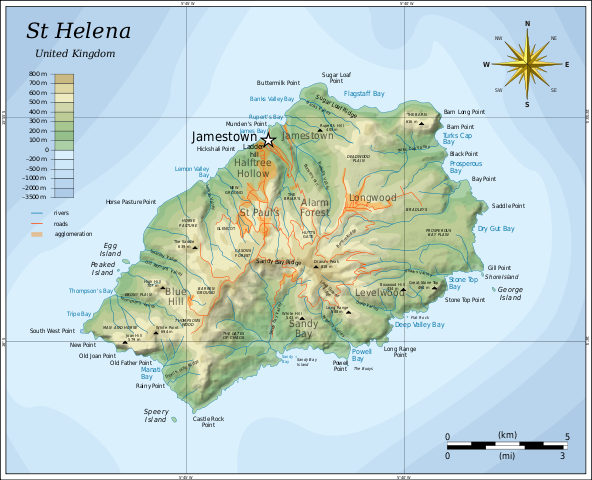 We'll be using two examples for this tutorial: Saint Helena, and Rottnest Island. 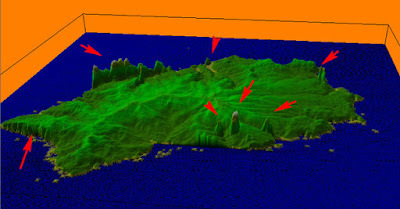 All examples are islands because their coastlines give a clearly defined area to work with. This island lies in the South Atlantic Ocean and is famous for being where Napoleon was exiled after the end of the Napoleonic Wars. 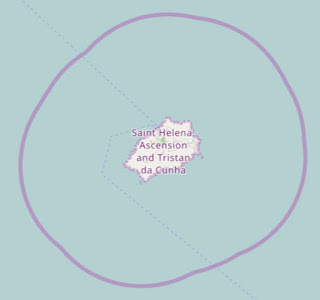 It was settled by the Portuguese and British, and is currently a British Dependent Territory. 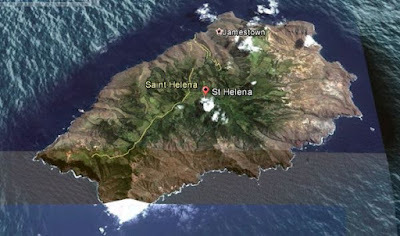 The image above shows the contents of saint helena 20km terrain.zip. Opening the saint helena 20km README.txt file, we can read where the zip came from, a URL (e.g. 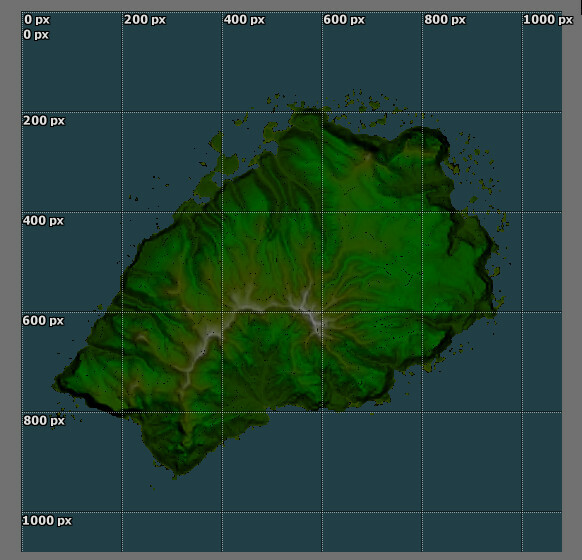 http://terrain.party/api/export?name=saint+helena+20km&box=-5.612559,-15.871623,-5.799511,-16.051286) we can use want if we want to export this again, and information about the heightmaps (PNG files) included in the zip. 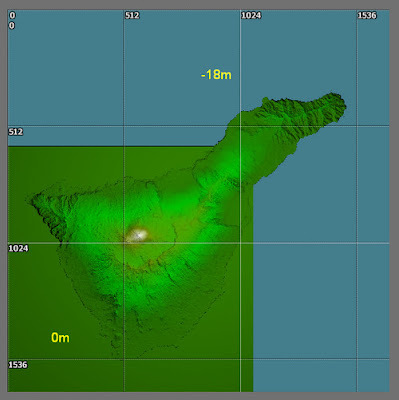 The Height Maps section lists details about the ASTER, SRTM3 v4.1, and SRTM30 Plus PNGs. 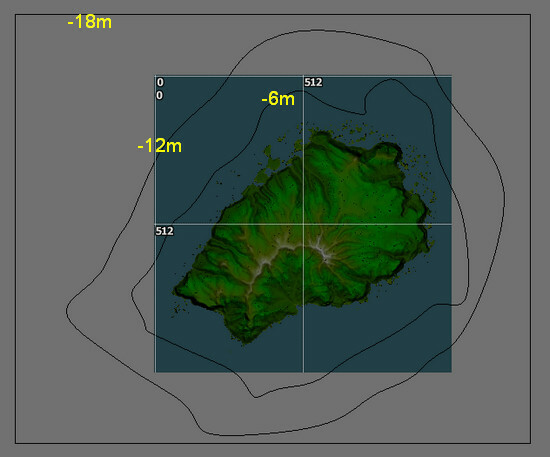 These are all different sources for the data with different resolutions and accuracy. 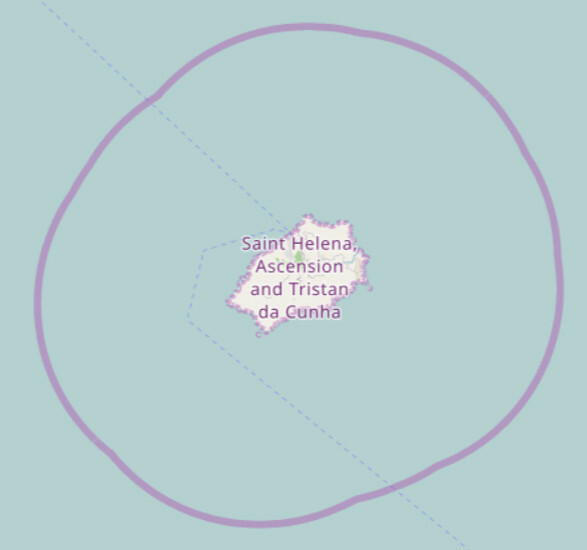 The saint helena 20km Height Map (Merged).png file is a merging of all of these, and in all the examples we'll use the Merged versions of the PNGs. The Elevation Adjustment section of the readme file gives us information about the range of elevations in each heightmap (in this case 0 through 1250 meters), and advice on transforming these values for "the game" (which is cities:skylines). 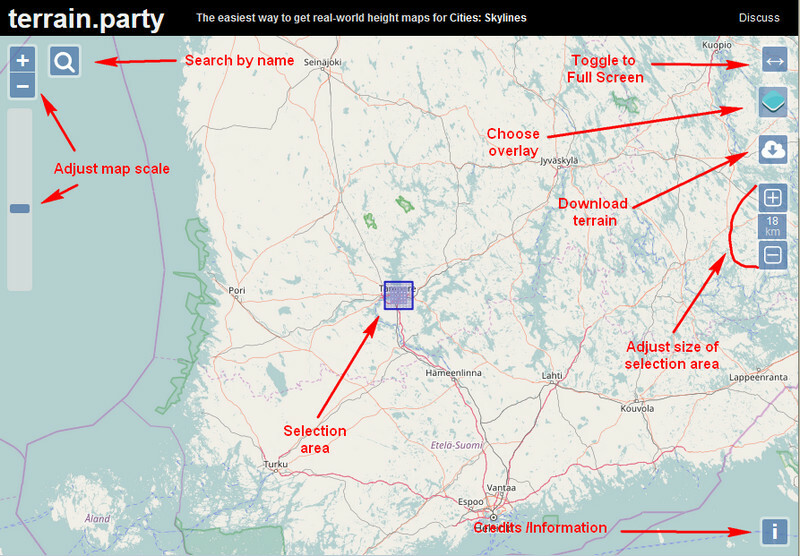 Lastly there's the Missing Data section, which informs you if there's missing data on any of the maps. 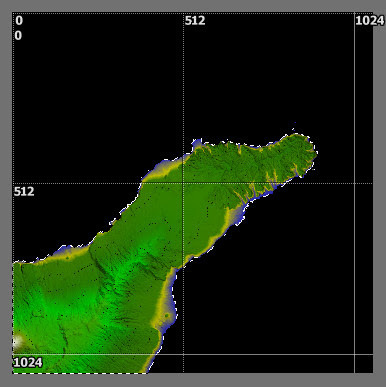 You'll find missing data on all the PNGs in all the examples, because no data is included for ocean areas (hence the zero height value). 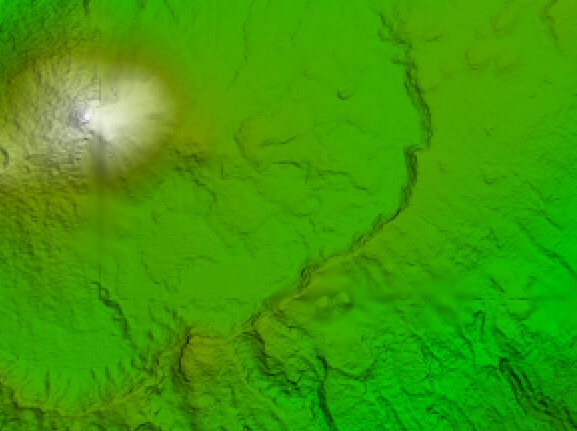 No height map data was available. That's a bummer. so far away from the equator. probably a good idea for gameplay reasons anyway. 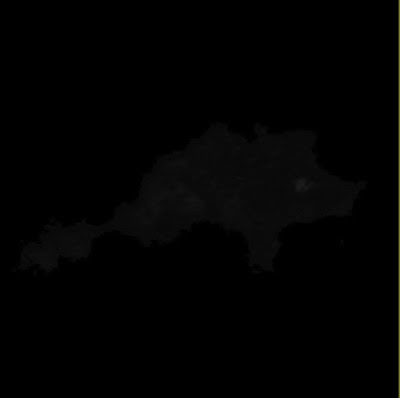 ...we can see that the spikes on the West and North coasts are aberrations (probably in the original data of one of the sources), the bite in the South East is missing data, but close to the actual coastline. However, the cliffs in the South West are actually there! Find another source of data that is more accurate and complete. 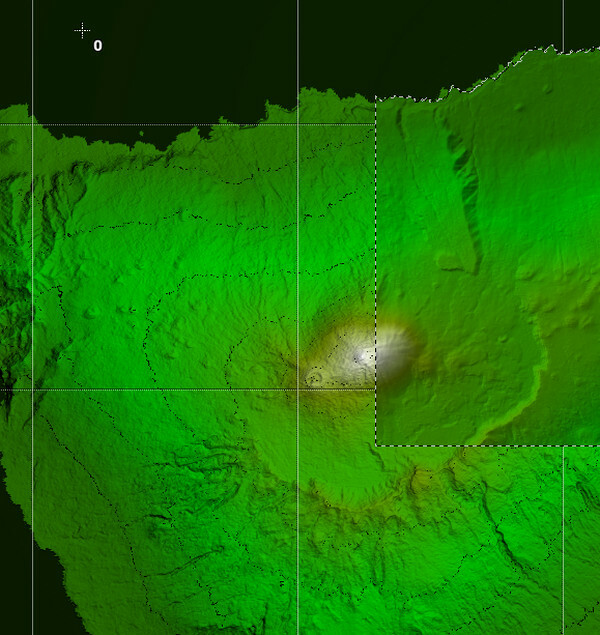 ...provided by the Shuttle Radar Topography Mission but SRTM3 v4.1 is the result of considerable effort from CGIAR-CSI. 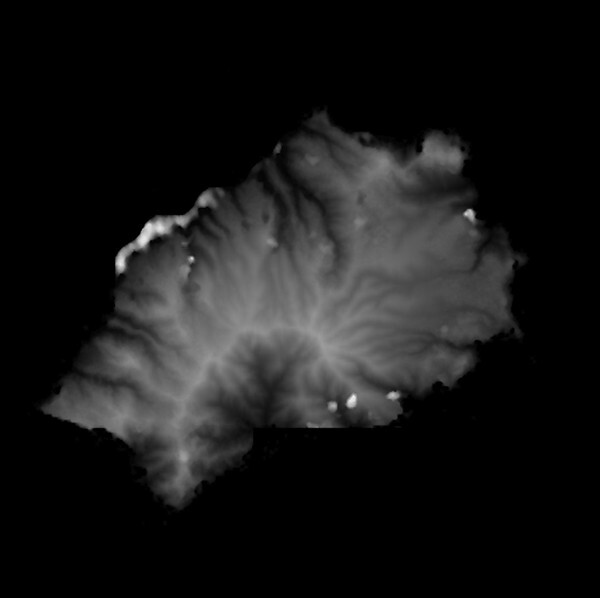 It has a ~30m resolution in the US and a ~90m resolution elsewhere. You may need to fiddle with this further. For example, is the height scale correct? You can change that using Filter > Span. However it's a bit hard to fully appreciate the scale here. 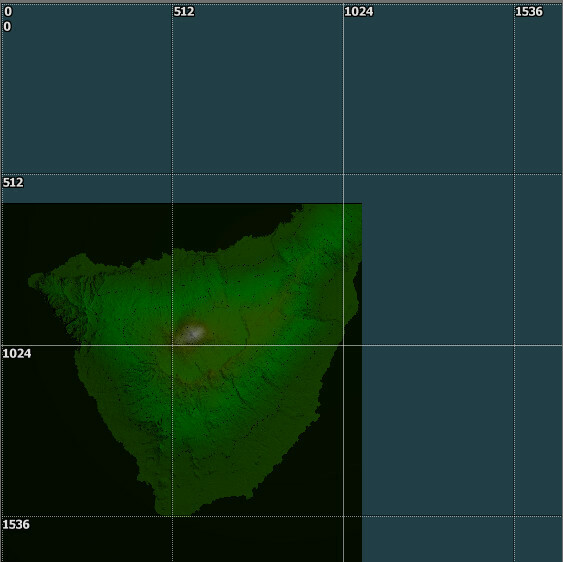 Perhaps you want to export it to Opensim first to see how it looks in relation to an actual avatar? 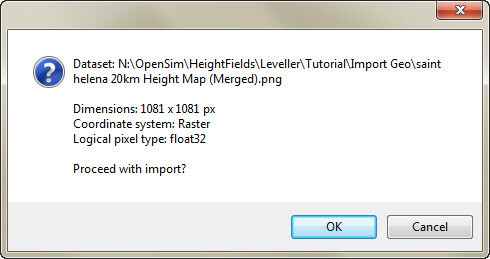 In that case we need to fix the size of the document.With a 1081×1081 size, that's just above 1024×1024. 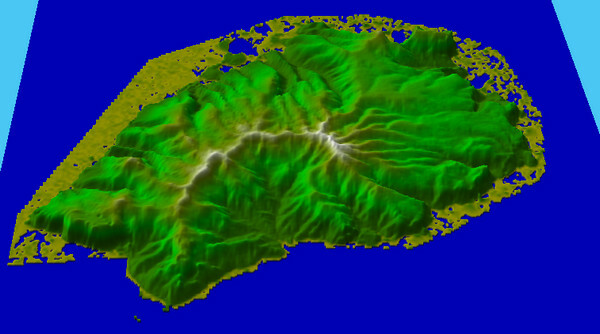 That could be: one large 1024m² region; 2×2 512m² regions, or 4×4 256m² regions. The first step would be to crop the document to 102×1024. To use Edit > Crop, you need to have a rectangular area selected. 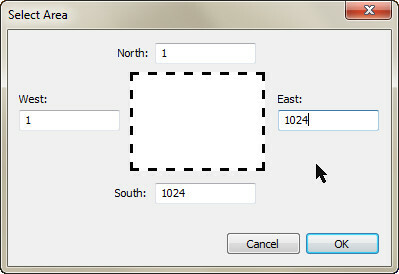 You can either do that manually by using the Select tool, or by using Selection > Select Area option. We'll do the latter for precision. Much better! 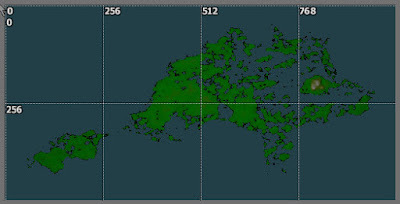 As you can see, the the coastline's been restored. Rottnest Island (known as Wadjemup to the local Noongar people, and otherwise colloquially known as Rotto) is an island 18km off the coast of Western Australia, and due west of Fremantle. 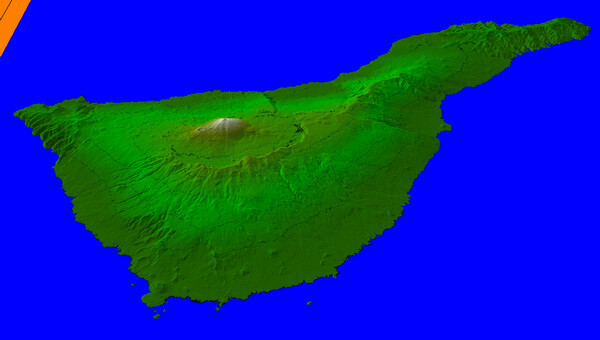 A sandy, low-lying island formed on a base of limestone, Rottnest covers 19km². 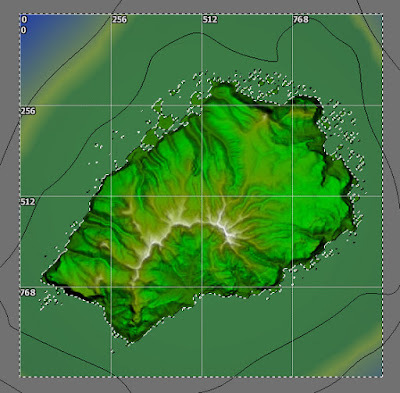 We'll be using Rotto as our second example in importing real life terrains. By Created by the uploader. 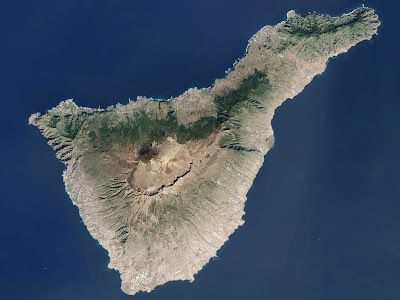 We could use a selection of 11km, but that cuts very close to the coastline of the island. Downloading that selection we open Rottnest Island 12km terrain.zip and find the ASTER 30m, SRTM3 v4.1, SRTM30 Plus, Merged, and Readme files. 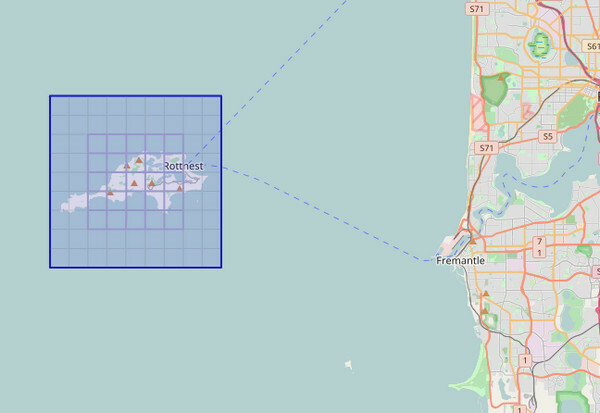 The Readme file tells us that the files were made from the http://terrain.party/api/export?name=Rottnest+Island+12km&box=115.568385,-31.952871,115.441188,-32.060669 selection, and that the height ranges are between 0m (coastline) and 82m. 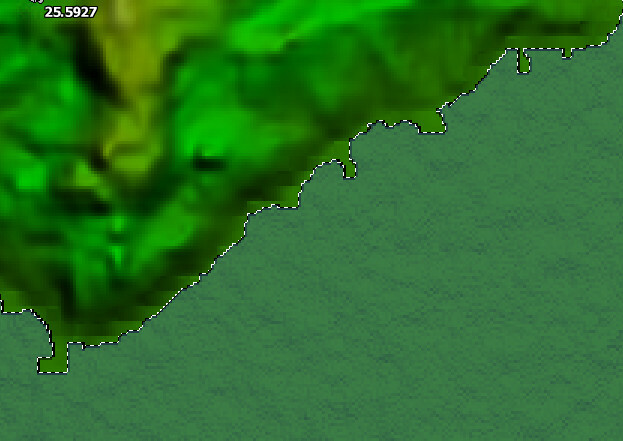 After inspection, the Merged version of the PNG looks like the best one to use. This is better! 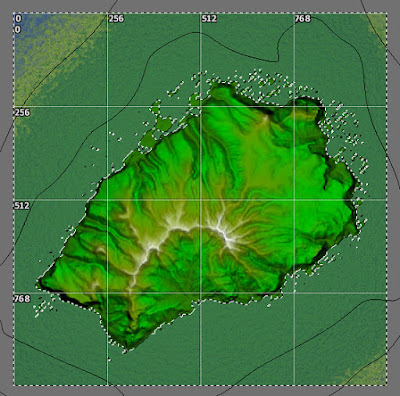 Of course we could instead raising or lowering the elevation of the entire heightmap, change the Water Level. You can do this by using Edit > Water level > Elevation and entering a new value, or by using the Water Tool and moving the mouse. 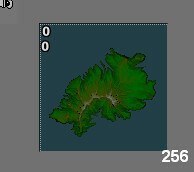 We didn't use either of these, because as we're exporting later to Opensim, we want the water level to stay at zero. See below for fixing the ocean height levels properly. Rottnest lies on a coastal shelf, but that's more than 2.5m deep! But, what about the ocean?! 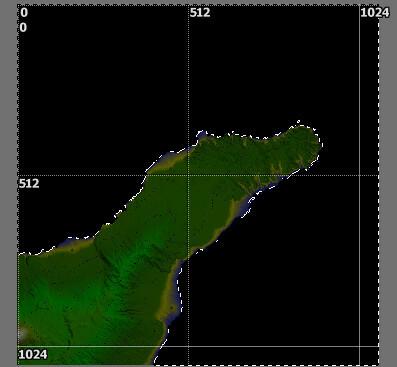 There's one thing remaining before we can export these documents to Opensim - the ocean. 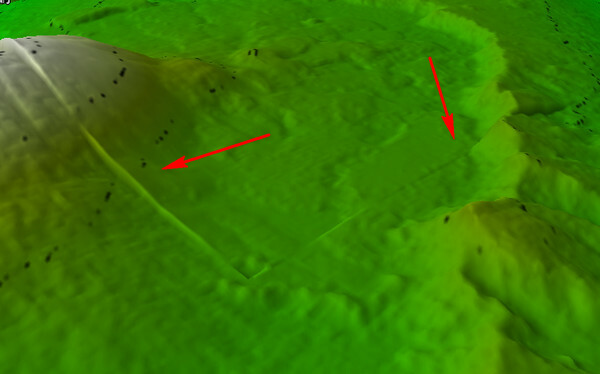 In both cases the heightmap imported via the PNG file has "missing data". 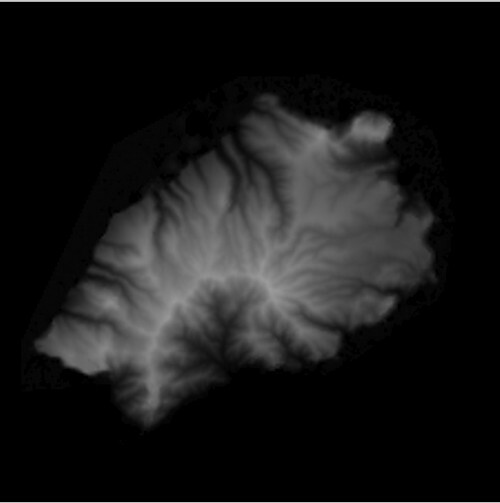 There were no values for any of the water areas, so these were "zeroed out" and shown as 0m. 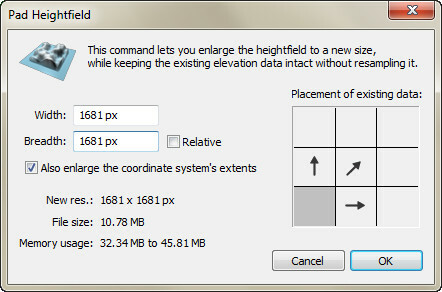 Over the course of fiddling with the documents both heightfields were lowered using Filter > Elevate, so that what was zero is now a negative value. While that might look OK in the Scene pane, it's going to flat and either very shallow or very deep. Either way that's not very natural looking. 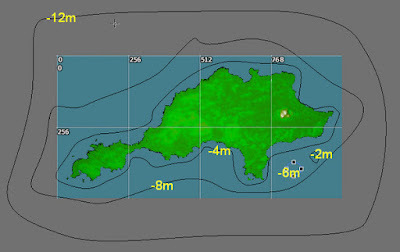 So, we need to modify those areas, but at the same time not modify the land area that we've taken care to import intact. The easiest way is to use shapes as contours to generate terrain in those areas, and to also use a selection to make sure that it's only those areas affected. Before you continue, go read Part 3 about how to use shapes as contours in Leveller. Pause. 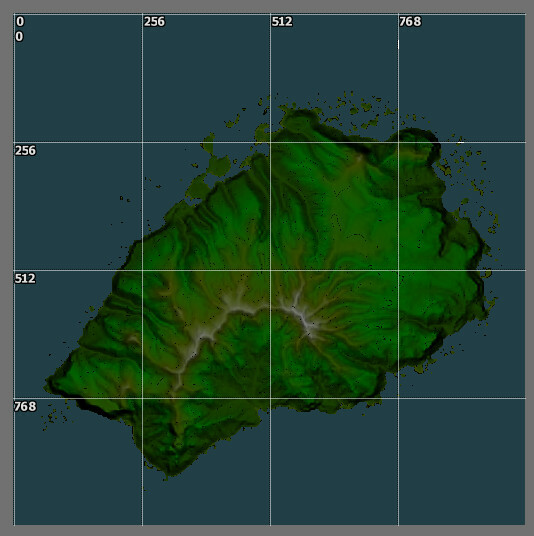 Now that's done, consider what we need for Opensim. 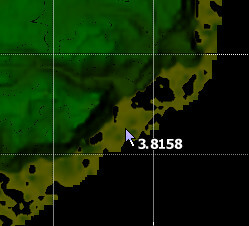 Usually in Opensim the water level is set at 20m. 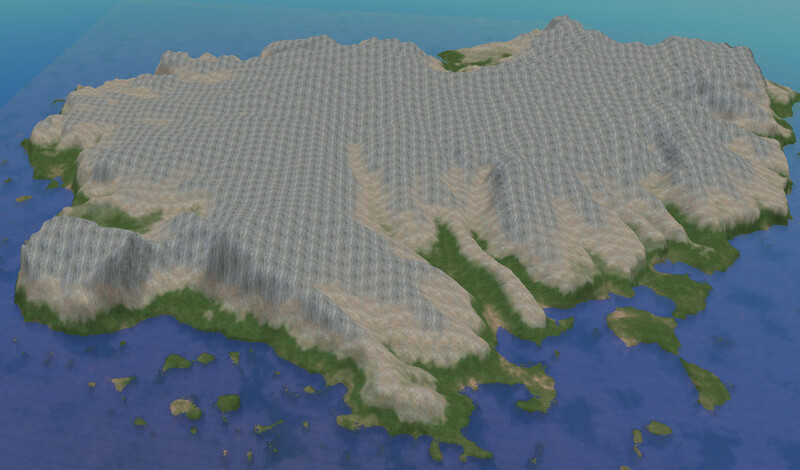 and the bottom of a region is 0m. 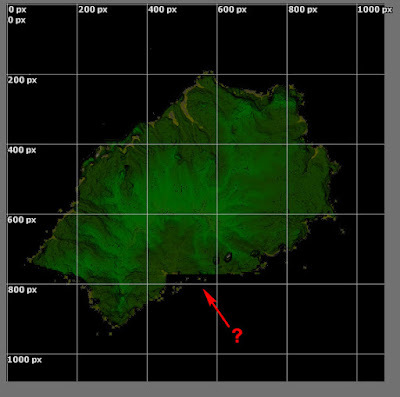 You can go lower than that by manually lowering terrain using the Edit Land tools, but anything lower than zero tends to be a dark murky unreliable space. 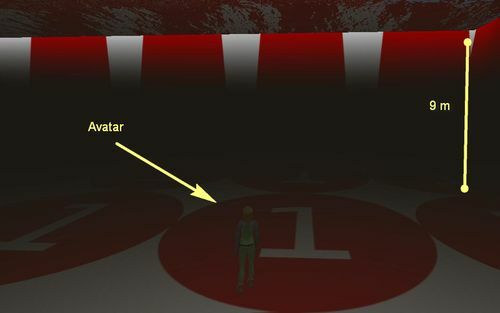 The following image shows the Master Builder avatar standing at -9m in a test region. Not pleasant! 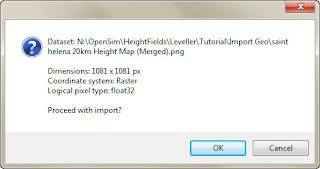 In any case, if you export a .ter file into OpenSim, anything lower than zero will be set to zero, so with the default setting anything lower than -20m in Leveller will be lost. I prefer to use -18m as the bottom height for a "default region" in Leveller, as it gives me some leeway in using the Perlin filter to make it bumpier. 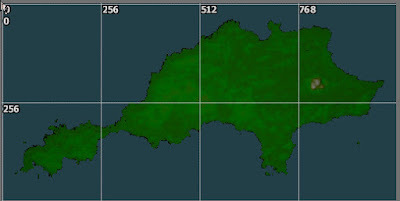 Things are different if you are using a water level higher than 20 in Opensim. 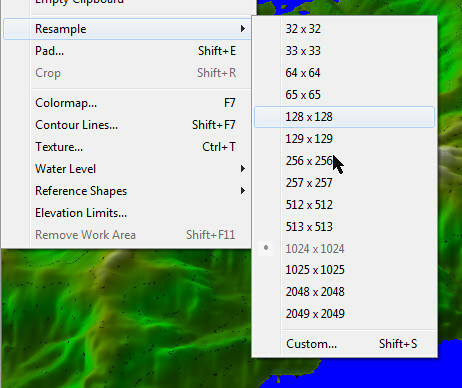 If you have that set to 40, but are still using zero as the water level in Leveller (good practise), then you'd need to enter 40 for height adjustment in the File > Export tileset dialog instead of the default of 20. 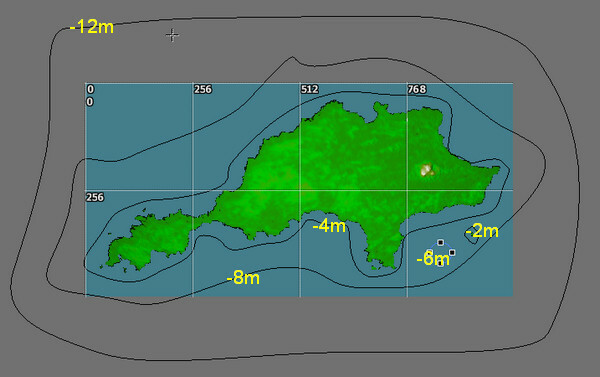 However, this also means that you can go down to -40m (or -38 to play safe) in Leveller when creating the sea floor. 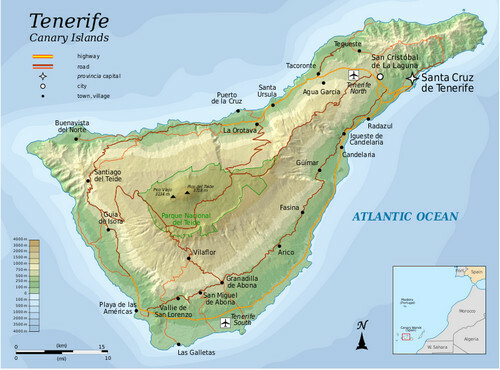 In Part 5 we import real life geography for Tenerife! Sorry, but this seems in really bad taste. Ah yes, the master explainer.